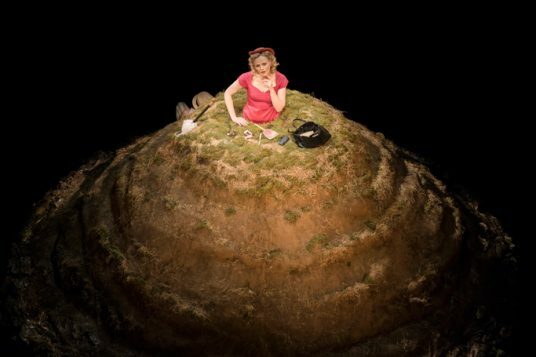 The role of Winnie, the buried heroine of Samuel Beckett’s 1961 play, is one of those parts that actors relish. 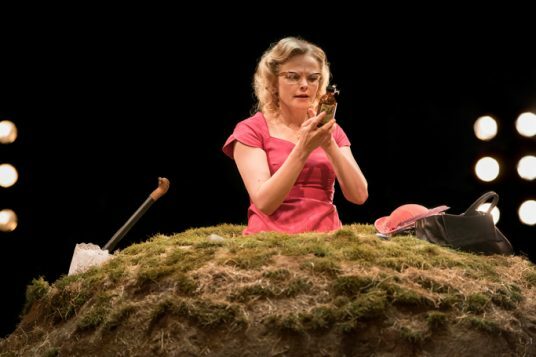 It’s a mountain of a role, physically and emotionally demanding, and Maxine Peake, reuniting with regular collaborator Sarah Frankcom, scales it. 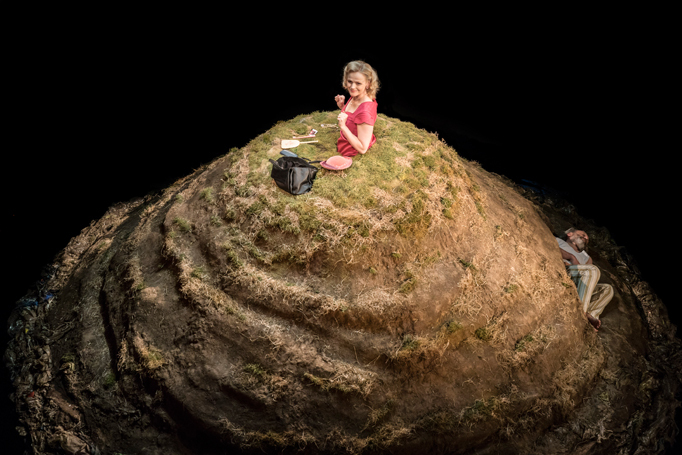 Designer Naomi Dawson has turned Beckett’s small mound of scorched grass into a desolate, mossy molehill fringed with plastic detritus. Winnie’s hill is here a tiny island in a lake of inky black water and from some angles it makes it look as if she is wearing a great skirt of dirt. 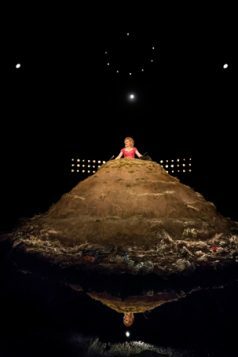 Frankcom solves the problem of how to stage such an essentially static piece in an in-the-round theatre by having the island slowly revolve. This adds another layer of relentlessness to the play. Winnie’s world keeps turning. 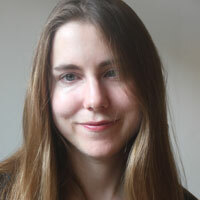 Jack Knowles’ lighting ensures her face never slips in darkness. 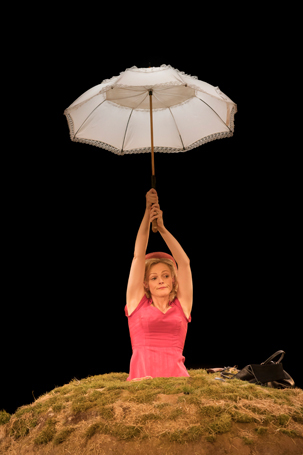 Peake is chipper and resilient, but also delicate and elegant. In her pink hat and dress she looks like a flower atop a mound, speaking in an affected, feathery voice, her hands occasionally flapping in a birdlike way. She conveys so much with her eyes. Sometimes a little panic creeps into her face as she talks about her lost beauty and failing eyesight, as memories slip from her grasp, but then her smile reasserts itself and she continues. The constant stream of words – so often dismissively described as ‘prattle’ – come to seem like a means of ordering the world. 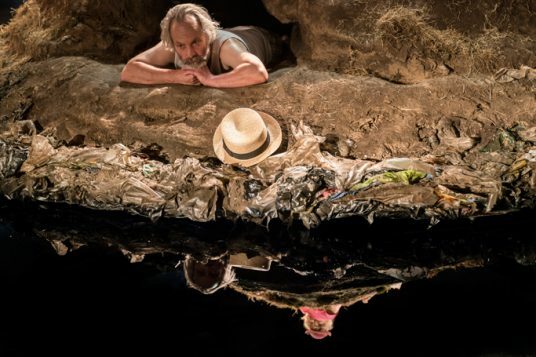 As Winnie speaks, her taciturn husband Willie (David Crellin) huddles in his hole or dozes with a handkerchief over his face. In the bleaker second half, she’s buried up to her neck, entombed in earth, consumed by it. Her world has grown smaller and darker. A close-up image of her disembodied face is projected on to screens around the theatre, so that each frown, each line, is magnified. This makes her face resemble something midway between a death mask and an Easter Island monument. The video screens bring a weird, almost dystopian quality to the production that is jarring – they feel intrusive. While they create a kind of disorientating intimacy with Peake, they also break the spell of her performance. Peake has previously played Hamlet and Blanche DuBois on the Royal Exchange stage and she brings elements of both those roles to Winnie, as she tenderly lays her revolver on the grass, laughs off the indignities of her situation and flutters her way through her day. The production feels like the last part of an informal trilogy and Peake is mesmerising in it. 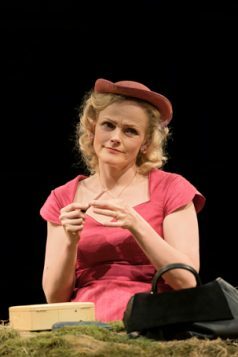 The play is often talked about as a metaphor for marriage – two people islanded together for life – but in Frankcom’s production it feels as if time is the thing being railed against, particularly if you’re a woman. The earth is rising up to swallow her. 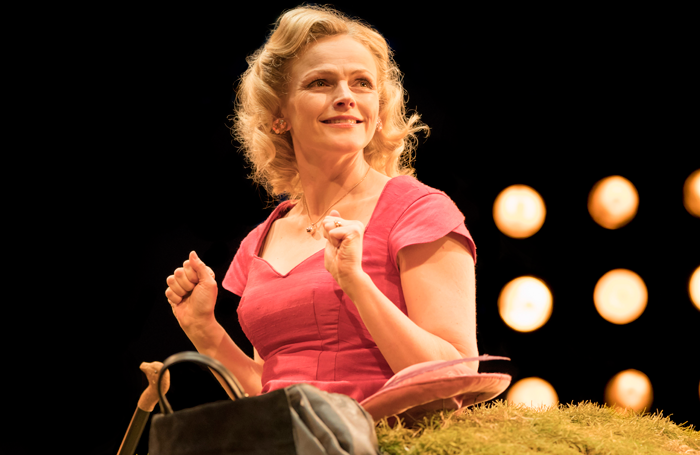 The world is decaying and so is she – and still she smiles.